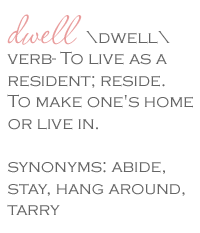 Dwell by Cheryl: "Deal Seeking"
Sorry about the radio silence last week. I'm not sure where the weeks go. They just seem to fly by. I've been doing quite a bit of deal seeking lately and have scored some pretty awesome finds. 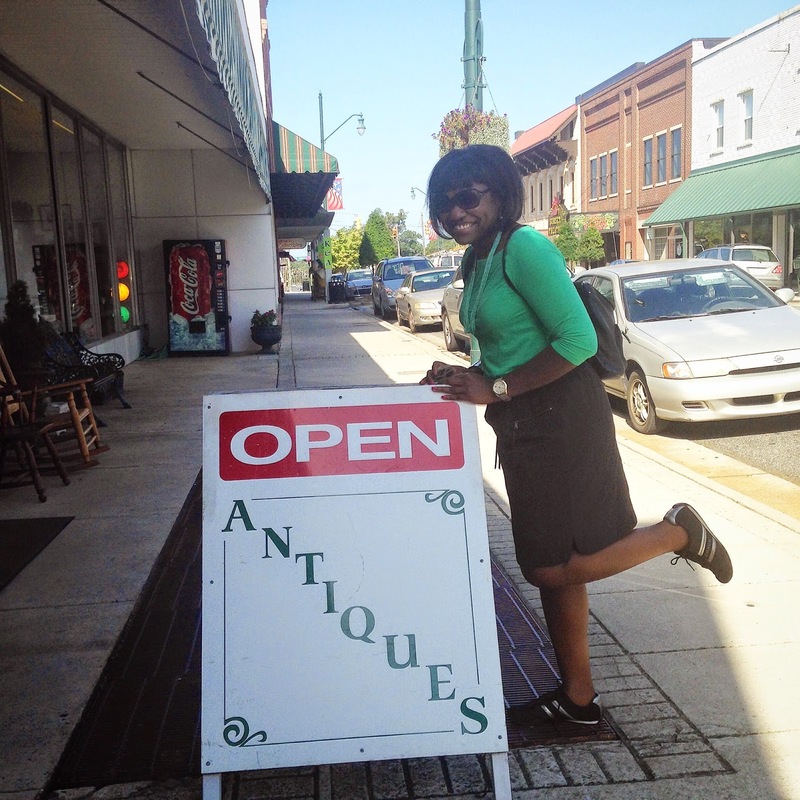 Last week, I extended my Labor Day weekend and took a little trip to Asheboro, NC. I heard they had some great antique malls, so I decided to check it out for myself. I walk in the front door of the first stop and "BAM!" 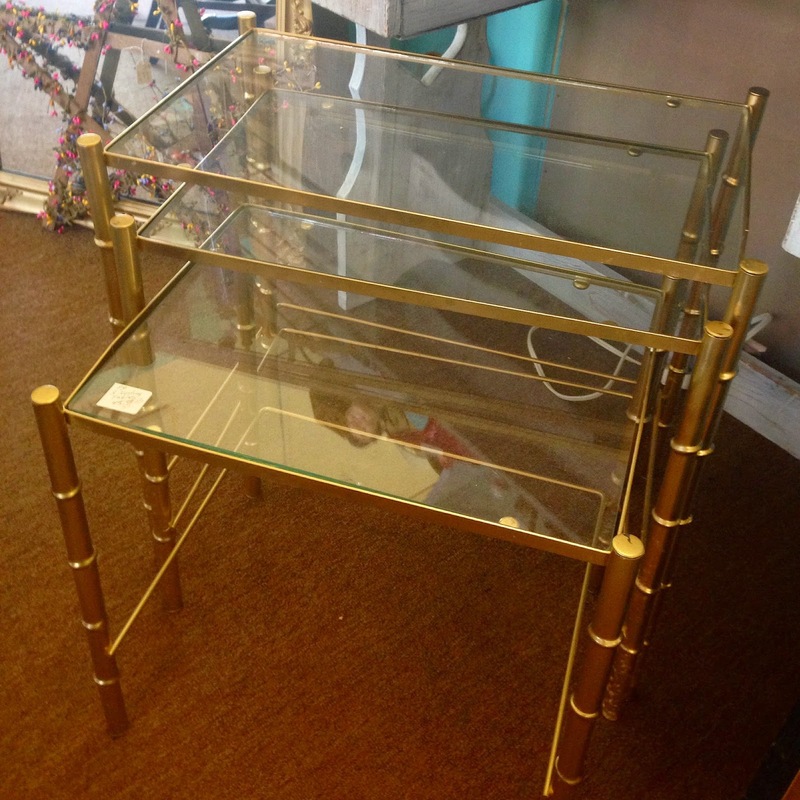 I'm hit by this set of brass nesting tables for $35. Wow! A little Instagram poll confirmed that this deal was too good to pass on. Needless to say, they made their way back to my house and I LOVE them! Not sure if this is where they'll stay, but you can't beat a good set of nesting tables. They're so very versatile and I can see me using them for years to come. 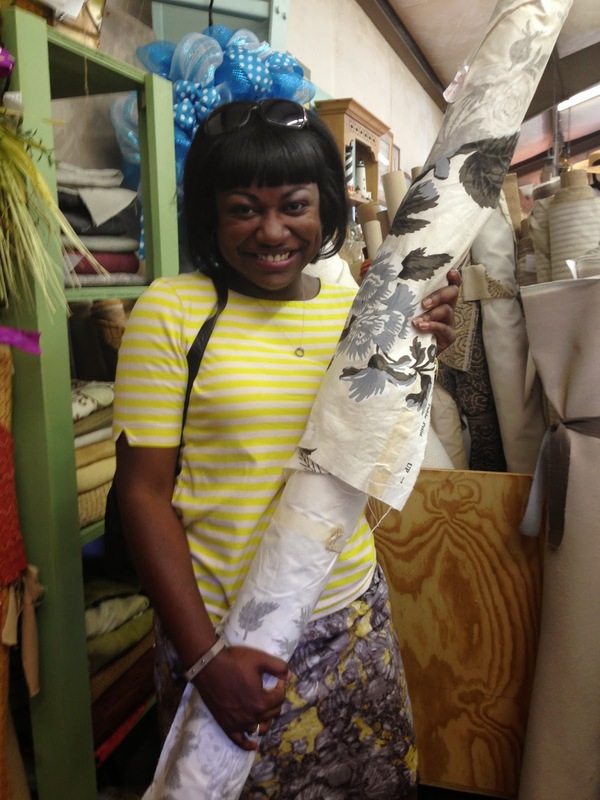 Prior to the Asheboro excursion, a quick stop in one of my favorite Goodwill locations yielded these vintage lovelies. 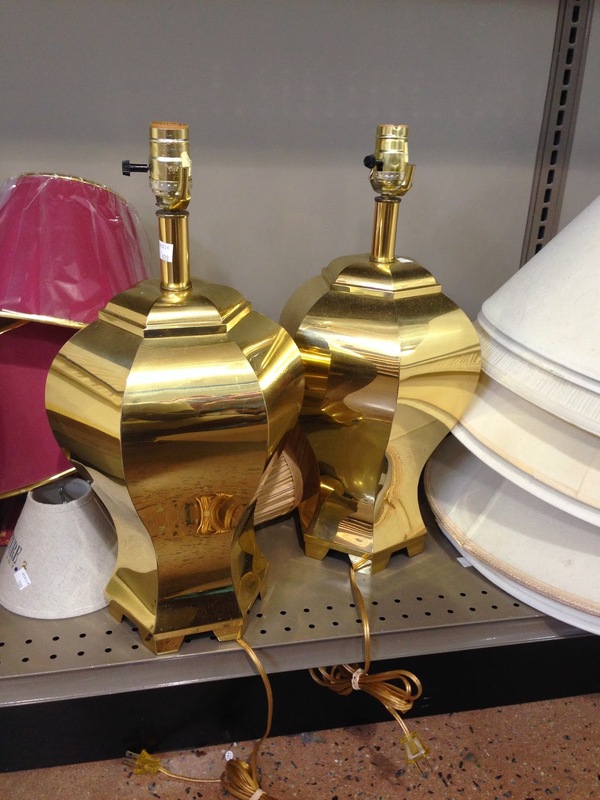 I have a thing for lamps and really didn't need these, but for $6.99 each I couldn't leave them behind. A little switcheroo and I found the perfect spot for them in my home office. Loving how this space is coming together. I need a shorter harp on the lamp on the right and I've ordered vintage finials as well. I'll give you a little update on the office project soon. Apparently, my name is Cheryl and I'm addicted to brass animals. I ran into this brass horse this weekend at the Metrolina Expo Antiques and Collectibles Show and it just jumped in my tote bag (after I gave the vendor $6 of course). This is the last one, I promise. Any more brass animals and it's going to look like a zoo in here. Hands down, the best deal I've scored lately was this bolt of 14 yards of Schumacher's iconic Chintz, Pyne Hollyhock fabric. I paid just $49! That's $3.50/yard! 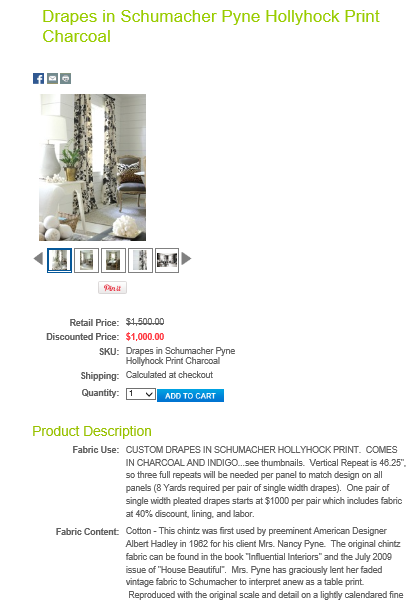 Just so you know what a big deal that is, here's a site selling drapery panels for $1000/pair. Unreal!! 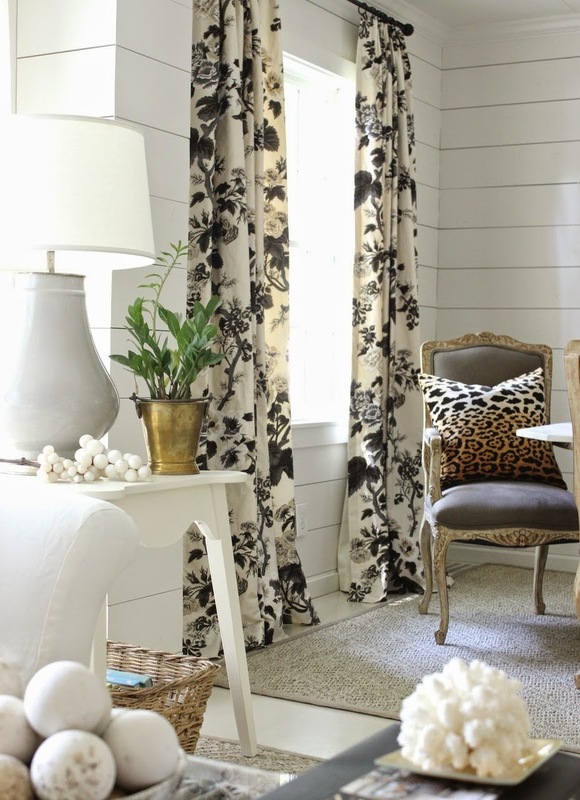 And just in case you think I'm a little nutty for even wanting Chintz fabric, check out the same fabric in these stunning spaces. 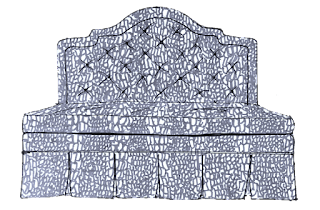 I'm holding on to this for my Master Bedroom. It's just about time for that space to get an entirely new look. Bravo all the way around. And I'm LOVING your office! Great deals!!! Your office is beautiful! Thanks Ladies! Pam, I guess great minds thing alike! Yes, Sherry saw it on Instagram. Still can't believe it!